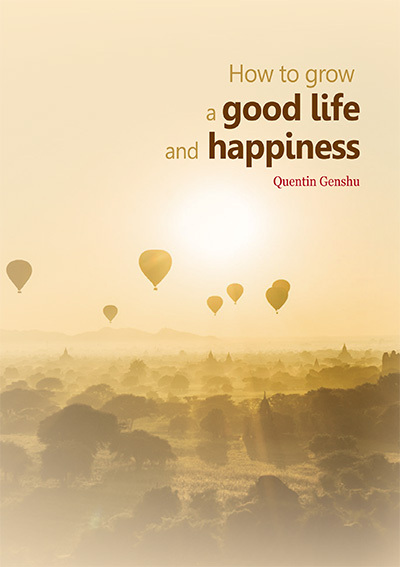 Written by Quentin Genshu Reilly, a long time student of Hogen-san, this book covers the Noble Eight-fold Path, which is the basis of the Buddha's teaching. It goes through each step on the path in detail, taking quotations from what the Buddha was said to have spoken in the Pali Cannon. These are entitled as 'Words of Wisdom' in the text. The final sections in the book deal with meditation practice and making the effort to practice well. The book can be downloaded as a PDF here. Alternatively a hard copy can be ordered through The Corporate Body of the Buddha Educational Foundation (budaedu.org) (Click the Dharma materials link). A charity organisation in Taiwan. There is no set cost but a donation is requested to cover the shipping and printing cost. TP1 : 'Prektis bilong Groim Klia Save', meaning 'Practices to Develop Understanding and Wisdom'. It is about 200 pages long and consists of selections from early Pali Suttas and quotations from various teachers. TP2 : 'Skul bilong Groim Klia Save' , which means 'Teachings to Develop Understanding and Wisdom. It consists of translations of suttas delivered by the Buddha and is over 300 pages long. TP3 : 'Pasin bilong Groim Klia Save' , which means ' Behaviour for Developing Understanding and Wisdon'. This consists of various teachings, such as Shanitdiva's 'Bodhisattvas way of life', to guide on how to grow and develop understanding and behaviour. It is around 250 pages long. TP4 : 'Manjushri youth', and is 77 pages long and consists of short passages to help younger people in particular develop understanding and wisdom. TP5 : 'Avalokiteshvara - Marimari Pawa bilong givim halibim– husat isaveharim ol karai bilong olgeta long ples graun', The one who hears the cries of all on earth and gives help to resolve their problems - the power of compassion to help others. This book gives quotations from the Buddha about compassion. TP6 : 'Sampela liklik stori', This book contains short styoies from the Buddhist traditions highlighting what sort of behavious brings what kinds of results. TP7 : 'Rot long winim gutpela sindaun na hamamas', How to Grow a Good Life and Happiness. The Tok Pisin version of the book at the top of this page. Many of these can be downloaded in digital form from our Resources page.